The trend of climate change and its effect on grape production and wine composition was evaluated using a real case study of seven wineries located in the “Romagna Sangiovese” appellation area (northern Italy), one of the most important wine producing region of Italy. 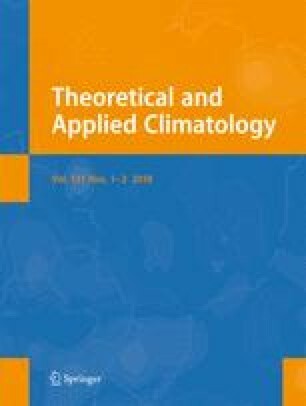 This preliminary study focused on three key aspects: (i) Assessment of climate change trends by calculating bioclimatic indices over the last 61 years (from 1953 to 2013) in the Romagna Sangiovese area: significant increasing trends were found for the maximum, mean, and minimum daily temperatures, while a decreasing trend was found for precipitation during the growing season period (April–October). Mean growing season temperature was 18.49 °C, considered as warm days in the Romagna Sangiovese area and optimal for vegetative growth of Sangiovese, while nights during the ripening months were cold (13.66 °C). The rise of temperature shifted studied area from the temperate/warm temperate to the warm temperate-/warm grape-growing region (according to the Huglin classification). (ii) Relation between the potential alcohol content from seven wineries and the climate change from 2001 to 2012: dry spell index (DSI) and Huglin index (HI) suggested a large contribution to increasing level of potential alcohol in Sangiovese wines, whereas DSI showed higher correlation with potential alcohol respect to the HI. (iii) Relation between grape production and the climate change from 1982 to 2012: a significant increasing trend was found with little effect of the climate change trends estimated with used bioclimatic indices. Practical implication at viticultural and oenological levels is discussed. Nemanja Teslić is a Recipient of Erasmus Mundus JoinEU- SEE PENTA PhD fellowship, Serbia. The online version of this article (doi: 10.1007/s00704-016-2005-5) contains supplementary material, which is available to authorized users. The authors acknowledge the E-OBS dataset from the EU-FP6 project ENSEMBLES (http://ensembles-eu.metoffice.com) the data providers in the ECA and D project (http://www.ecad.eu). The authors also acknowledge Editor Alessandro Masnaghetti for giving permission to use a map in the article and architect Marta Martins for her contribution.